This was chosen as a reference to Alice in Wonderland. It’s a good way to characterize Brianna’s experience. 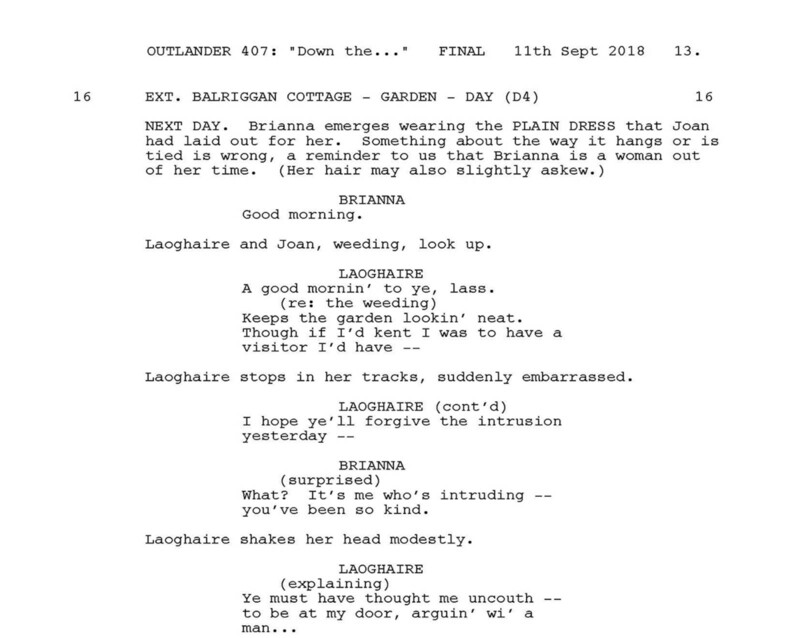 This first scene, and the others of Brianna traversing the Scottish countryside, were designed as a bit of a parallel to Claire’s journey after washing up on the islands in the West Indies. 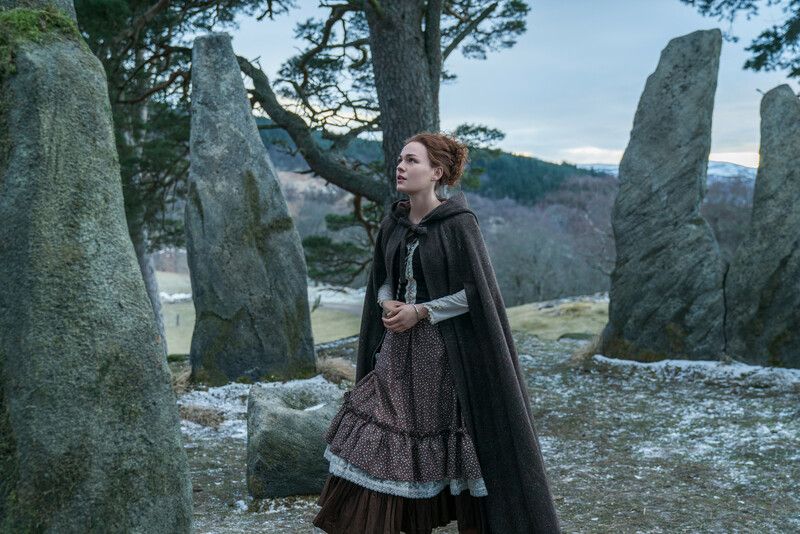 The difference is that while Claire was going through the sweltering jungle, her daughter is dealing with the frigid and rocky landscapes of the Highlands. Both are a woman alone, a stranger in a strange land. 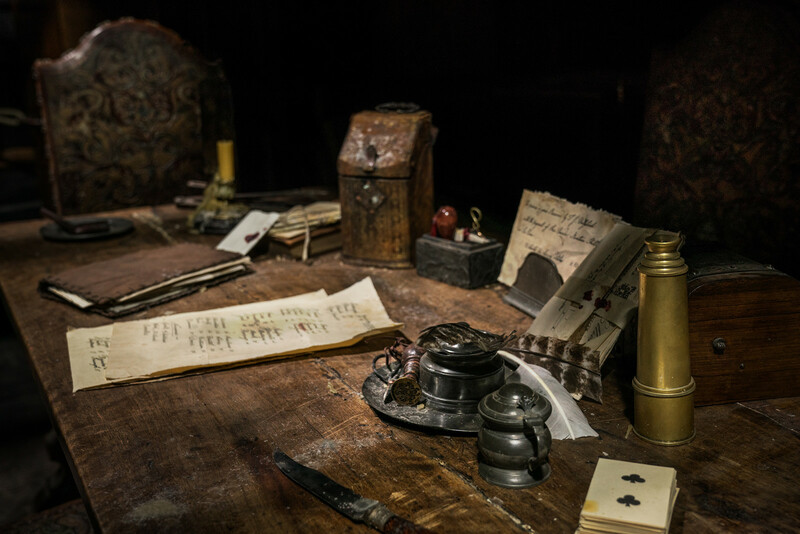 Brianna falls and spills the contents of her purse, so we could show the things she brought: a compass and a map—to help navigate and find her way to the harbor—but also waterproof matches, something Claire did not have on the island, which would have been handy! We had Brianna bring the wax paper-wrapped peanut butter and jelly sandwich, as a nod to the peanut butter and jelly sandwich in the book, which Claire brought with her when she went back in time—something that didn’t make it into our screen version. 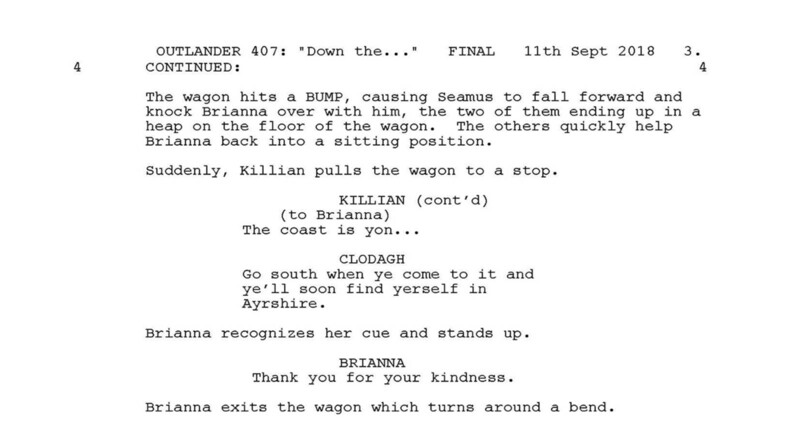 This was included because we initially wanted Brianna to be robbed, as another obstacle to her getting to her destination, learning that it’s hard to trust people on the road. 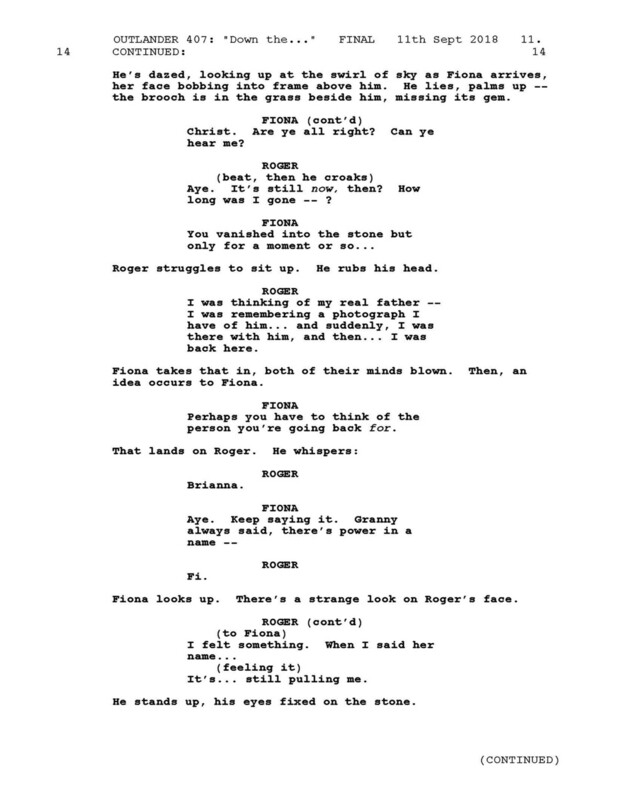 Ultimately, the “tinker scene” was cut in editing, as once we viewed it, we felt it was stronger to show the barren landscapes and Brianna’s loneliness and difficulty. It was a more powerful image to precede her encounter with Laoghaire, and she didn’t need to interact with travelers beforehand. 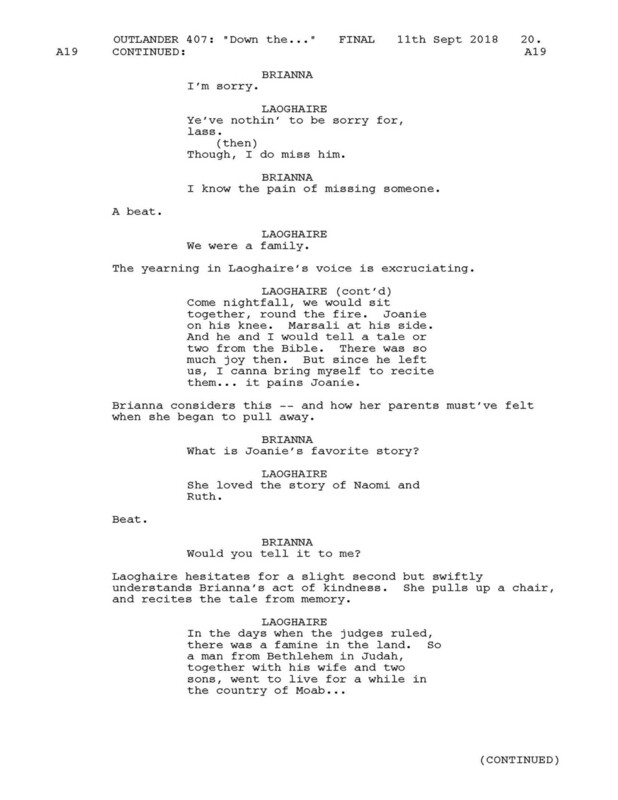 We wanted Laoghaire to be literally the first person she encounters. 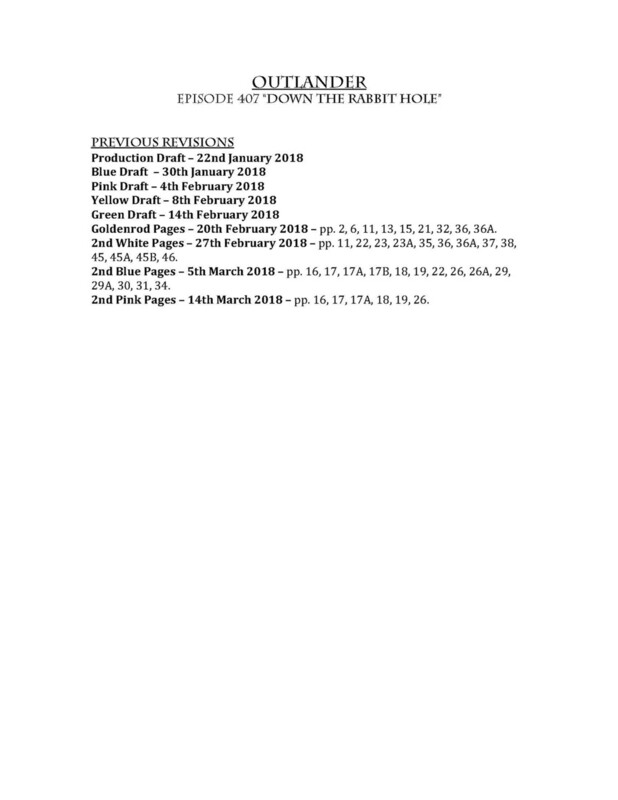 We wanted to reestablish that Roger can hear the buzzing of the stones and thus is one of the rare people who can time travel, and that likewise Fiona cannot hear them. You may notice that in the main titles, a woman’s hand is seen touching the stones. It was a bit of a mystery we planted for viewers. The one thing it did tell us is that this person was not a time traveler, since any time traveler disappears instantly upon touching the stone, which rules out Claire or Brianna. Once this episode airs, people will realize the hands touching the stone belong to Fiona! 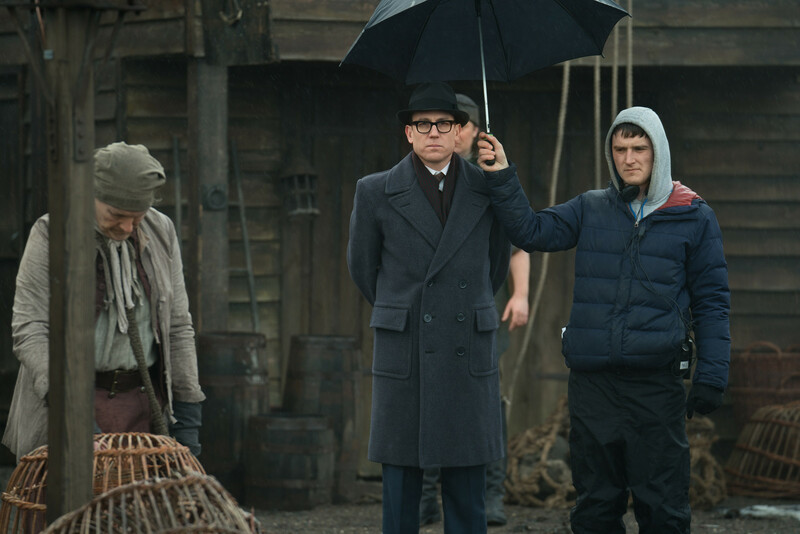 We always knew we wanted to bring back Tobias Menzies for an episode. 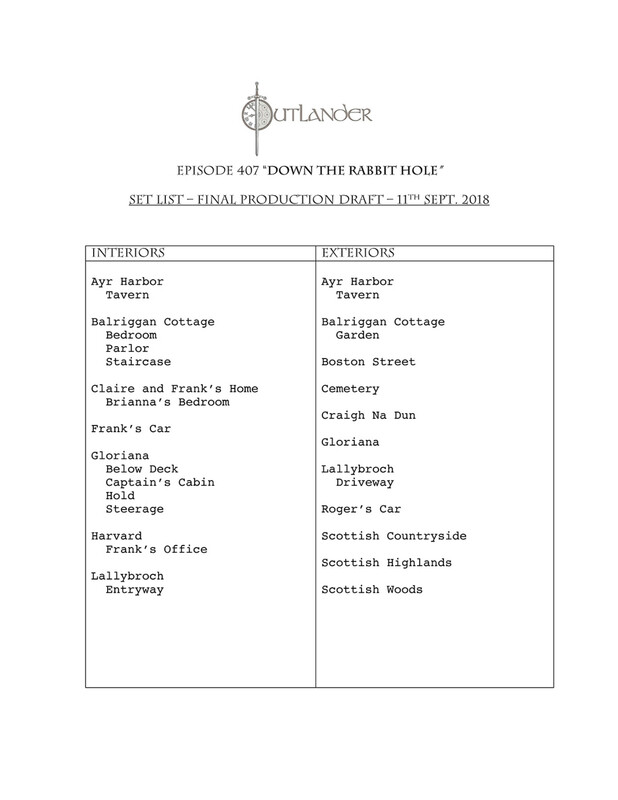 We debated where the best place to use him would be, and even though it seems strange in a way to integrate him in a story about Brianna searching for Jamie, our thought was that it was very organic for Brianna to be flooded with thoughts of the man who raised her and the man she knew as father, the closer she got to meeting Jamie. 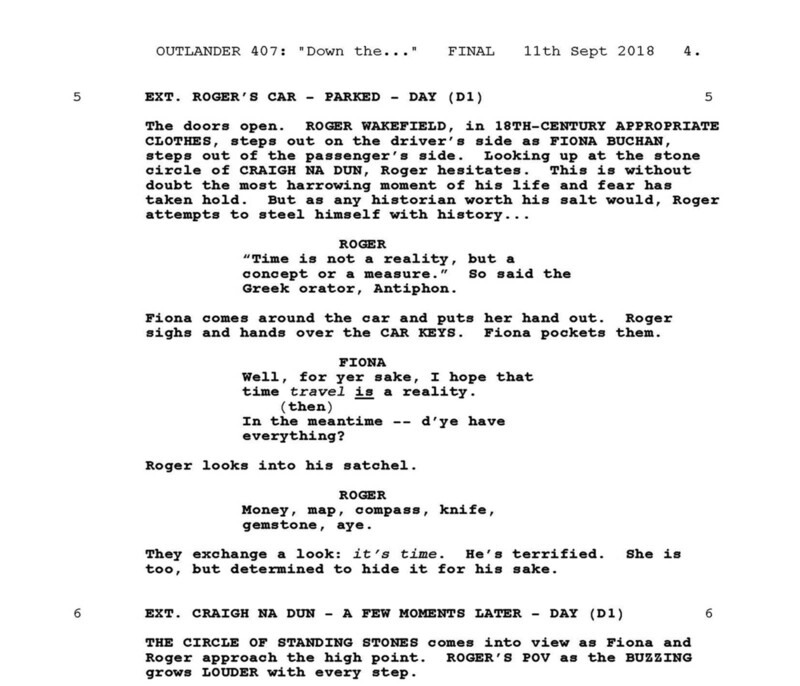 So here we start the flashbacks, with a sweet scene of her dad lifting the sleeping child out of the car, something that positions father as “protector,” something that many of us perhaps have experienced. 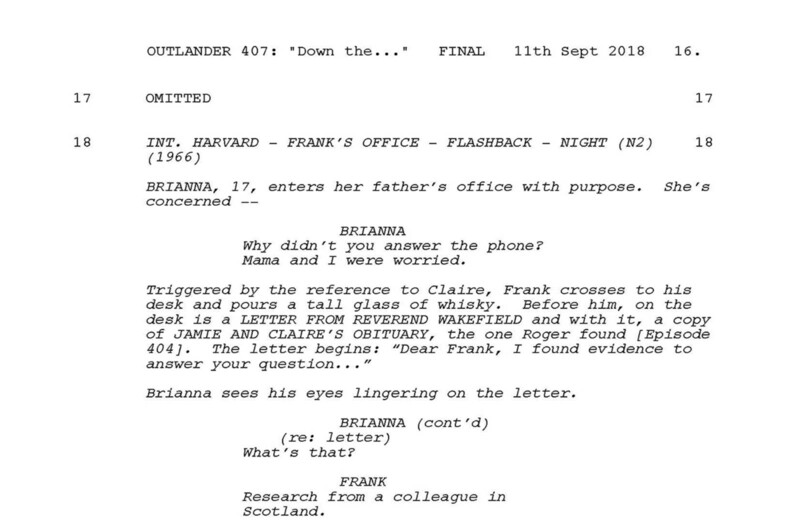 That brings a warm feeling and tells us that Frank is “with” Brianna, even as she starts her journey away from him and her Boston home. 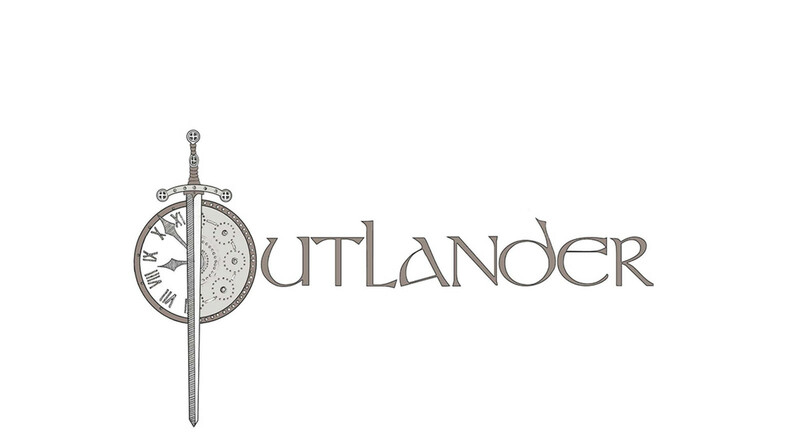 Due to a scheduling conflict, we were unable to get Laura Donnelly to return to Outlander this season. 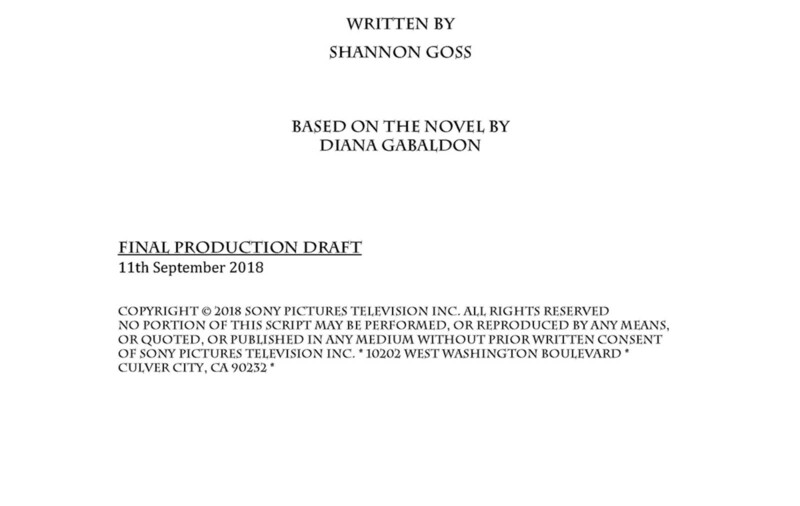 We knew it would be difficult to play the Lallybroch story in the book, since Jenny was such a large part of that, so we had to come up with something new. 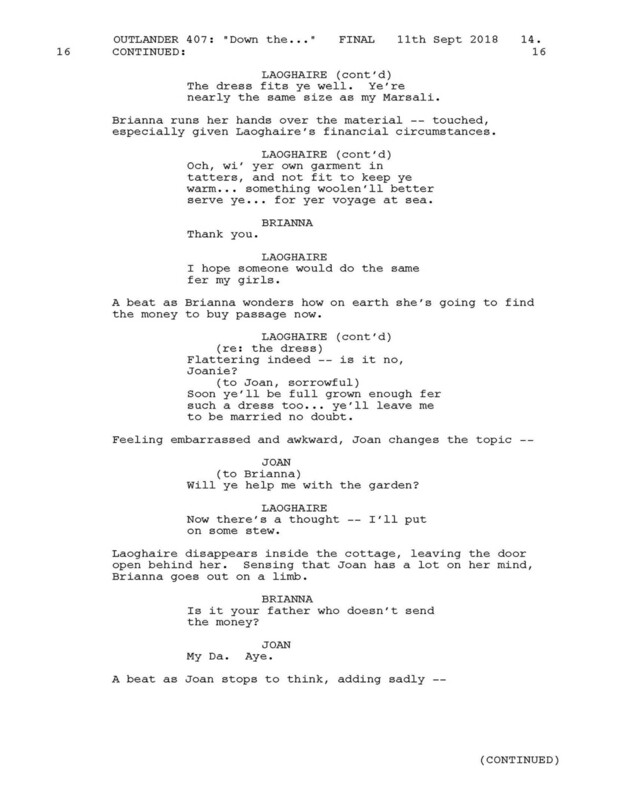 We had the idea of crossing Brianna with Laoghaire… to build a tense situation where two people who may not like each other were unknowingly interacting and finding comfort and friendliness until their true identities were revealed. The audience, admittedly, are not big fans of Laoghaire. However, the idea was that though they might dislike her for being an enemy of Claire, Laoghaire was a good mother to her daughters and perhaps a nice and kind person if you met her in life and didn’t have a conflict with her over a certain red-headed man. 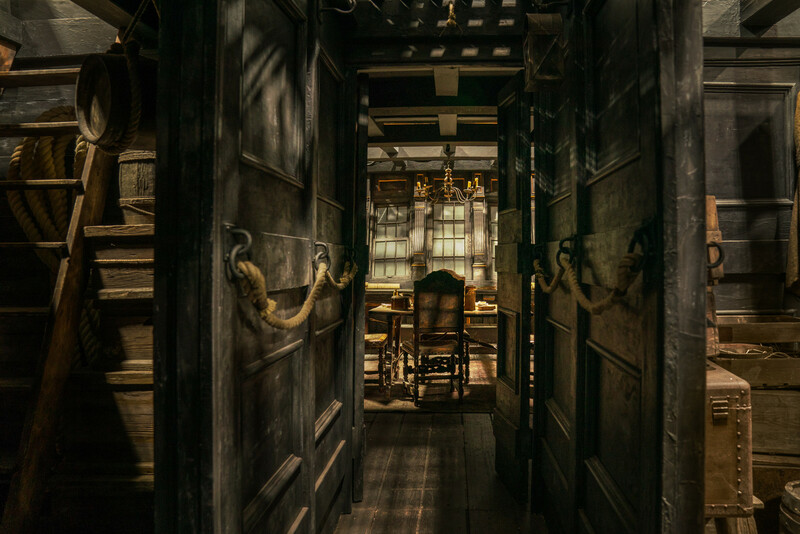 ;) It was a chance to see the other side of Laoghaire, in the warmth of her home and being a good parent and kind person. 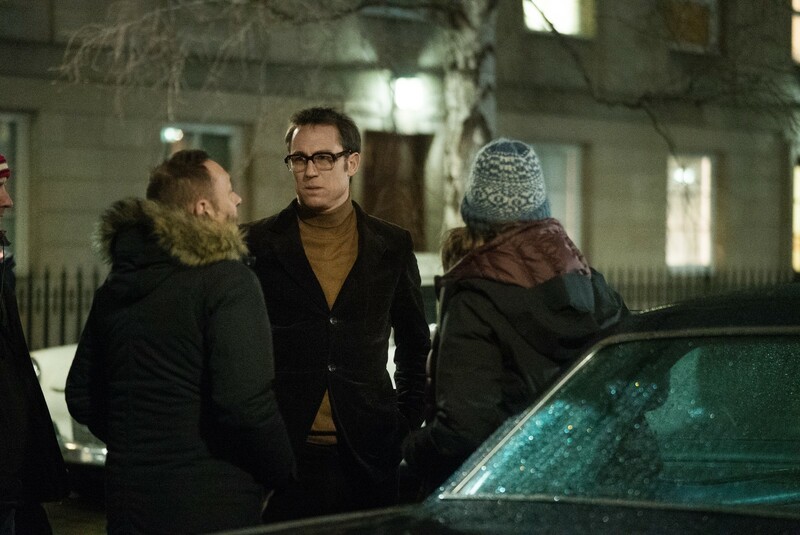 We see Frank again, but this time it’s not such a good memory. 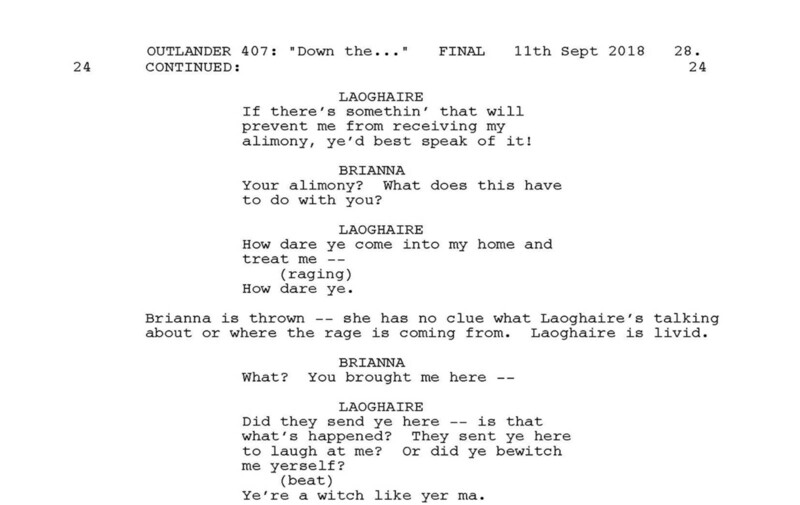 Hearing Laoghaire and Ian arguing downstairs triggers a memory of Brianna’s parents arguing. The cool thing is that we link it to an argument that the audience saw in Episode 303. 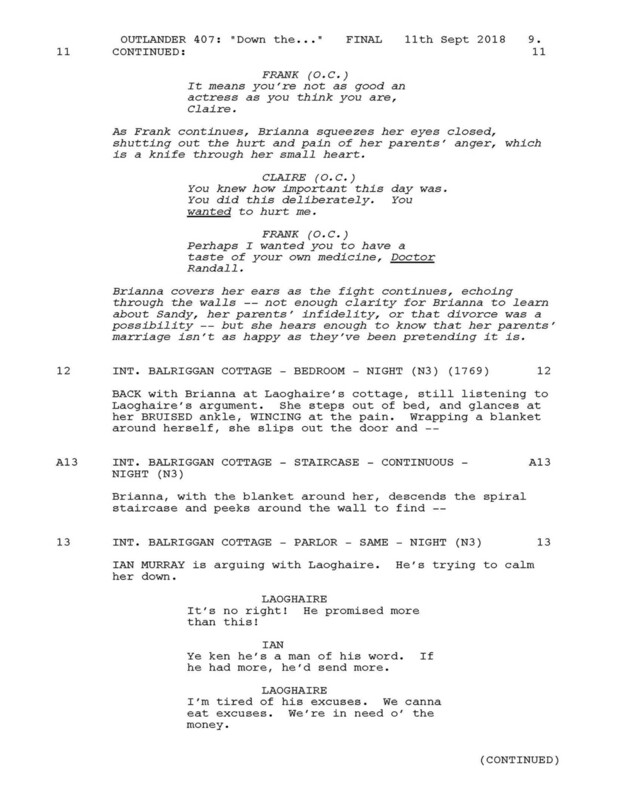 In that argument, Frank is urging Claire to keep her voice down so Brianna won’t hear. The irony is now we show that Brianna did indeed hear the argument and was saddened, and we were able to use the exact dialogue played off-camera and lifted from the earlier episode. We designed this scene to take advantage of the tension that we could get from having Brianna cross paths with Ian Murray, so that the audience would be yelling at the TV! 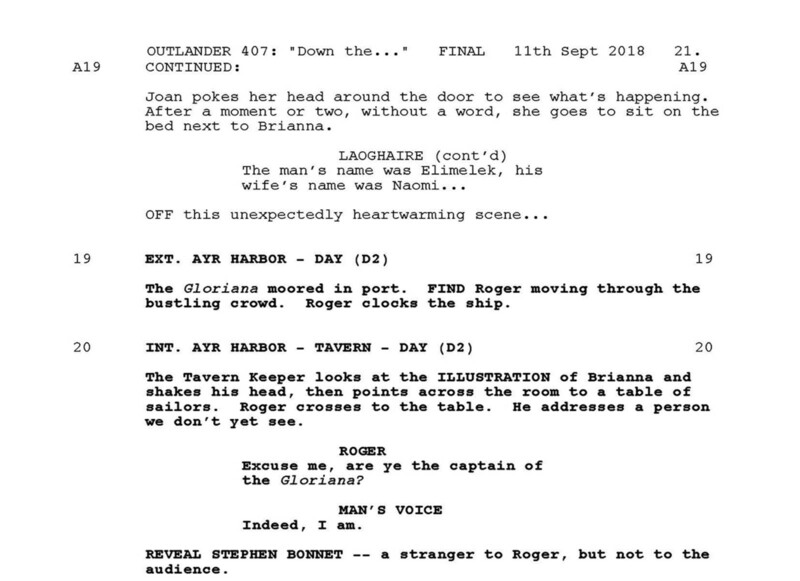 We knew they’d be rooting for these two people to realize who each other are, but then we leave it that this is a missed opportunity and the feeling that Brianna is in great danger staying with the enemy of her mother, even though she doesn’t realize how loaded this situation is. 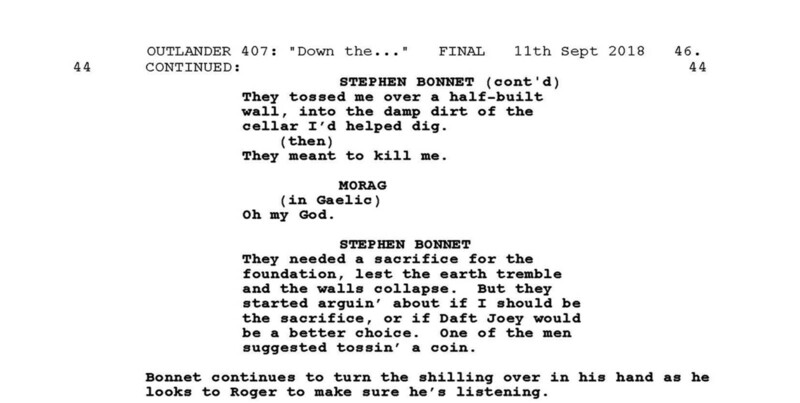 Many fans will remember this scene from the book where the stones spit Roger back out. 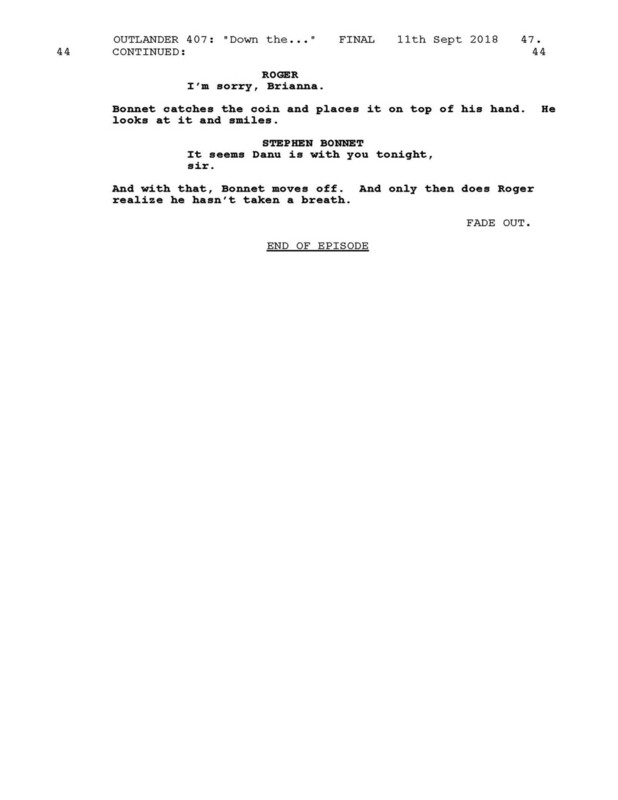 However, it was cut for time and will possibly be included on the DVD deleted scenes. 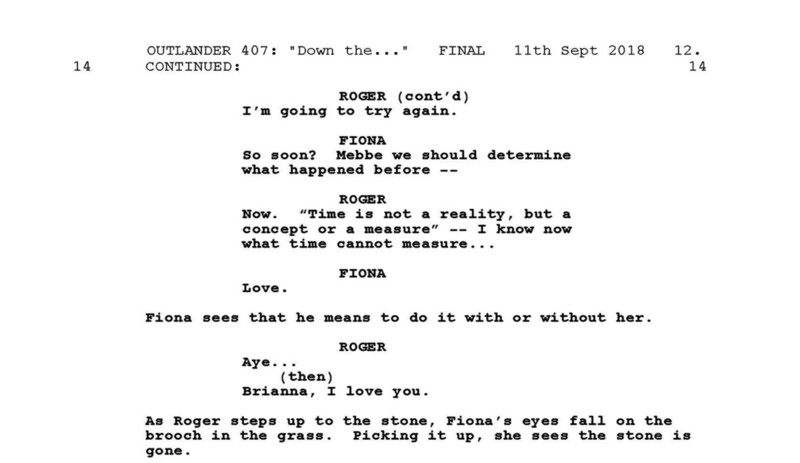 Also, Roger getting spit back out necessitated Fiona giving Roger her engagement ring. Even though this happens in the book, we thought it might be too much for a woman to give away her engagement ring and wanted to portray that Fiona was truly happy with Ernie. Even though she and Roger are friends, we didn’t want to make Roger more important to her than her husband, so in Scene 5, Roger brings his own gemstone, so he doesn’t have to use her ring. It’s chilling to hear Laoghaire talk about her “former husband” and have her complain about him in front of the man’s own daughter. Of course, without Brianna knowing it, Brianna even sympathizes with her! We also wanted Brianna and Joan to bond since they are stepsisters in a way and they are both red-headed, so it’s easy to imagine there’s a sweet connection between them, even though they are not blood-related. 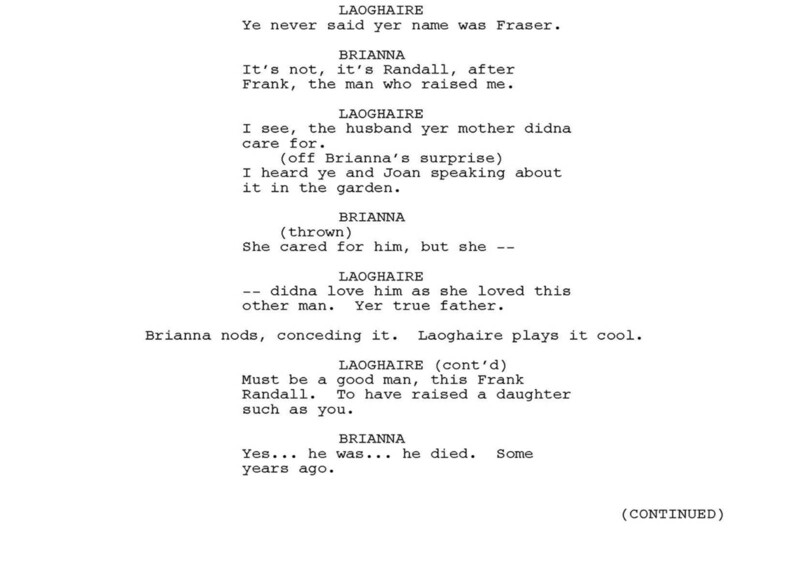 As they both discuss their fathers, another interesting aspect of this story is that Frank and Laoghaire are both tragic figures in that Frank loved Claire and Laoghaire loved Jamie before the two soul mates met. Then, after they’d each lost the love of their lives when Claire and Jamie got together, their lost loves returned to them. 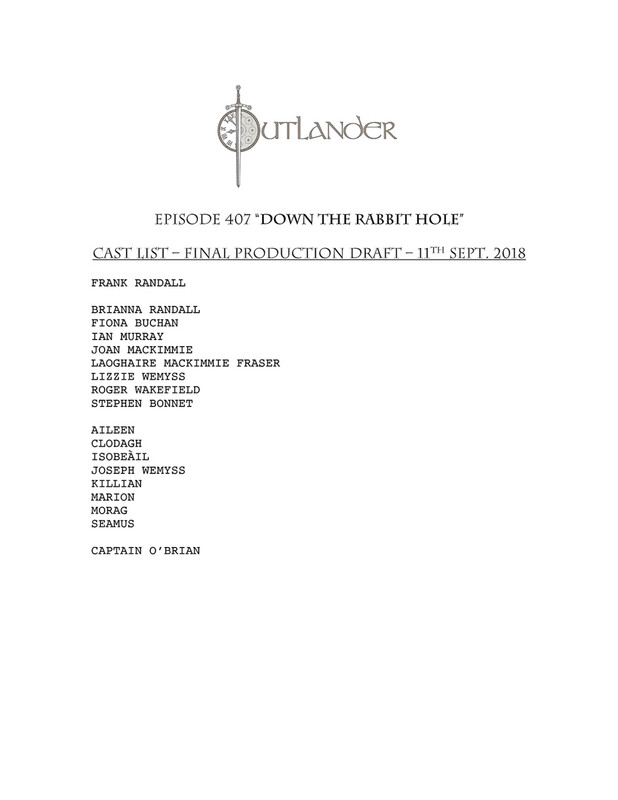 Claire goes back to Frank and Jamie eventually marries Laoghaire. 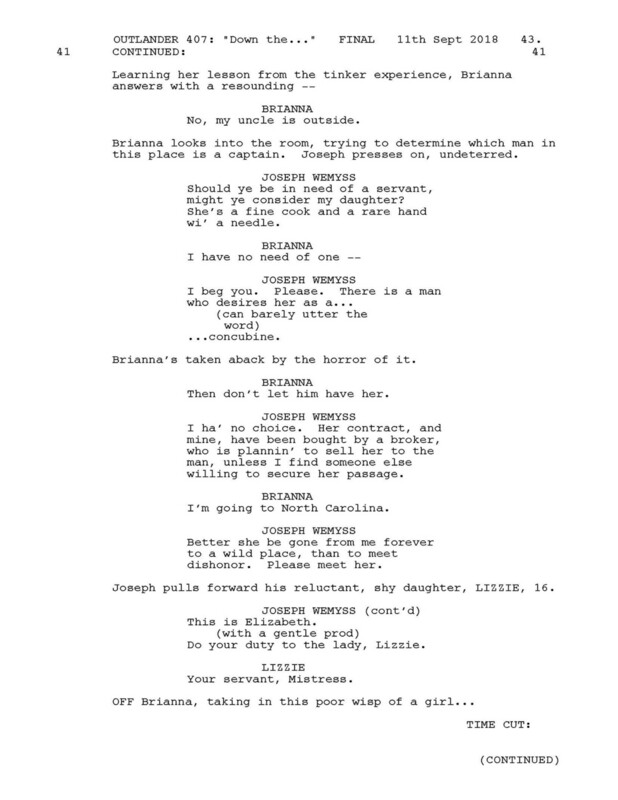 Both the tragic figures have a second chance with the person they love, only to be rejected once again, so putting Laoghaire and Frank in the same episode had a certain synergy to it. We liked the idea that Frank has found the obituary and that he learns that Claire leaves him, not realizing that it was after his death. We knew it would be emotionally fraught for Brianna to see the obit—though she doesn’t realize it’s about her mother at the time. Frank is tempted to share his secret with his daughter: that Claire is a time traveler whose her heart belongs to another man. 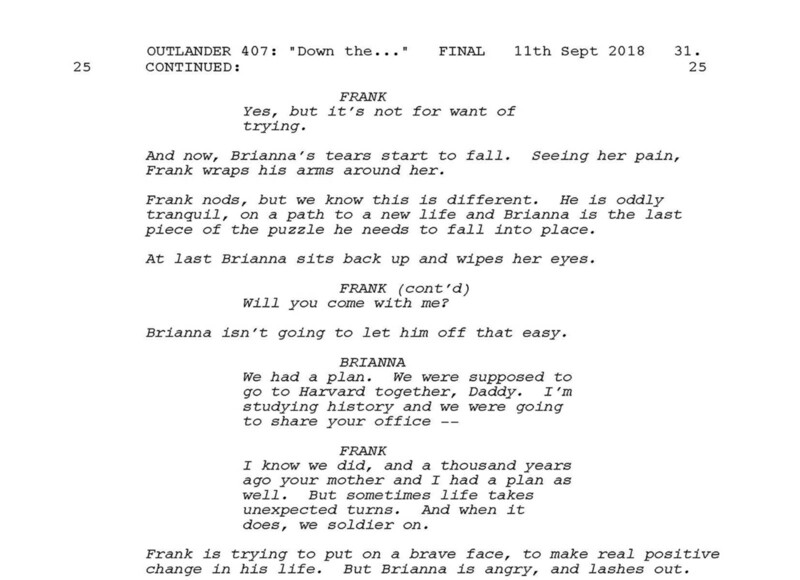 Being the great father that he is, Frank holds back and doesn’t spill the beans to her, because no matter the pain he is in over Claire, he would never hurt Brianna. 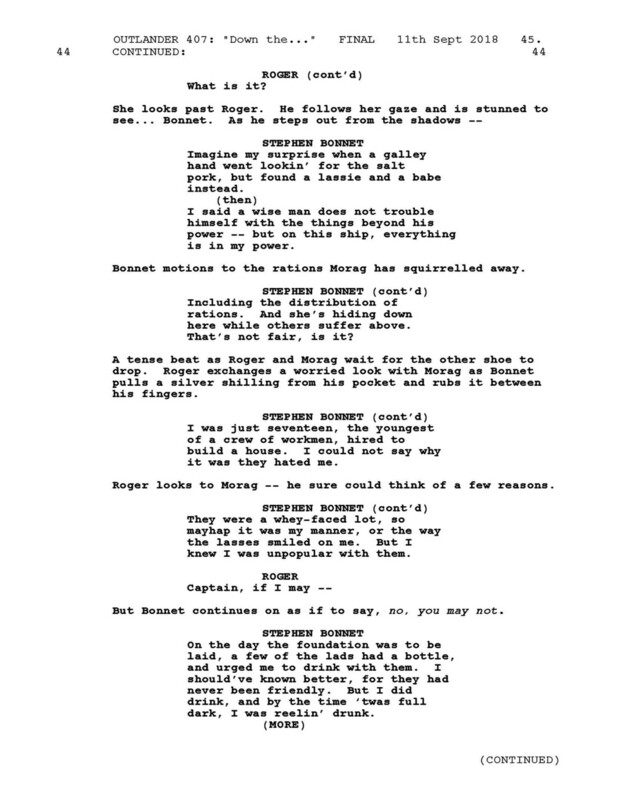 One structural challenge of this script was that to integrate Roger’s journey with Brianna’s meant that Roger would arrive in North Carolina before Brianna, so we came up with the device of having Stephen Bonnet say there are four ports before Wilmington, so that his journey takes longer and he arrives after her. 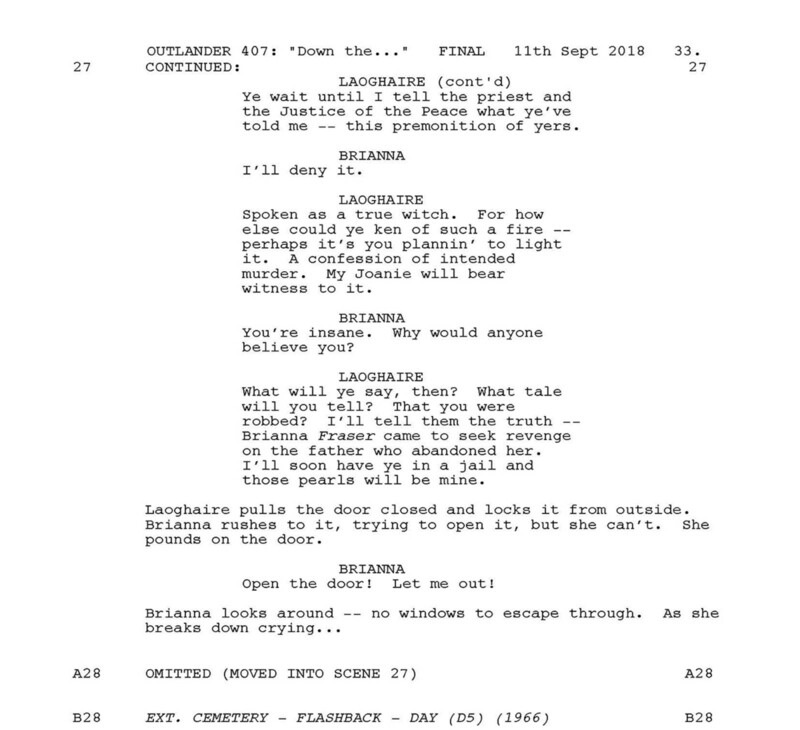 To further extend the suspense, we had Laoghaire realize who Brianna was before Brianna realizes it, and how here, because of Laoghaire’s machinations, Brianna doesn’t understand why Laoghaire is being discouraging of her goal of finding her parents until she finally realizes who Laoghaire truly is! Then all hell breaks loose! 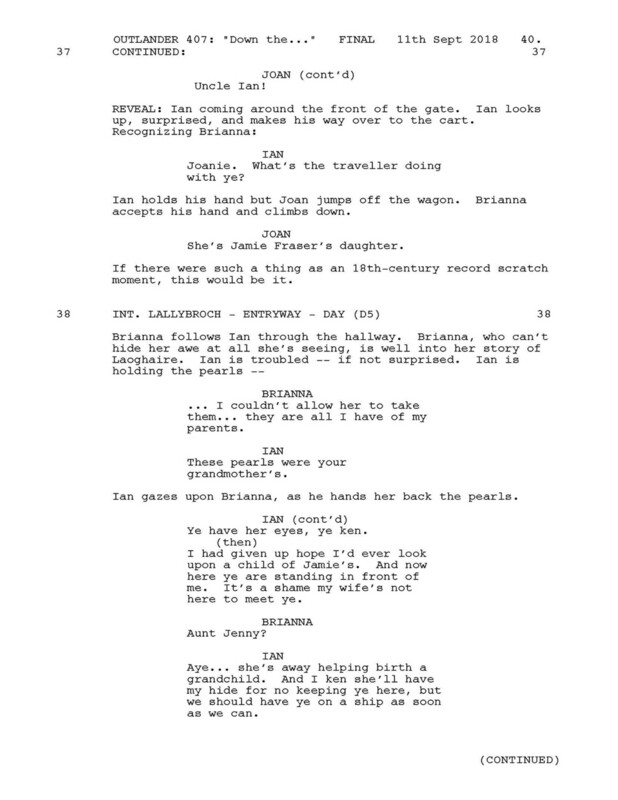 We originally included the pearls in this scene and have Brianna and Laoghaire fight over them, but ultimately decided that a physical fight was awkward to play and since she did not need the pearls to prove to anyone who she was, like in the book, the pearls did not serve a purpose in this version of the story. 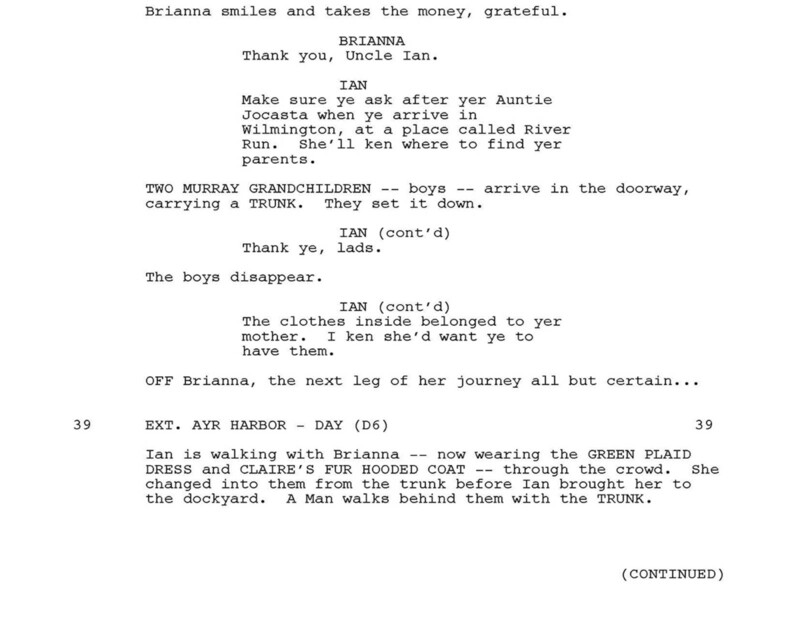 In the writers’ room, we always talked about playing a scene with Brianna at Frank’s grave, and this was the right place for it. We thought it’d be ironic for little Joanie to be the one to help Brianna escape her mother’s clutches. 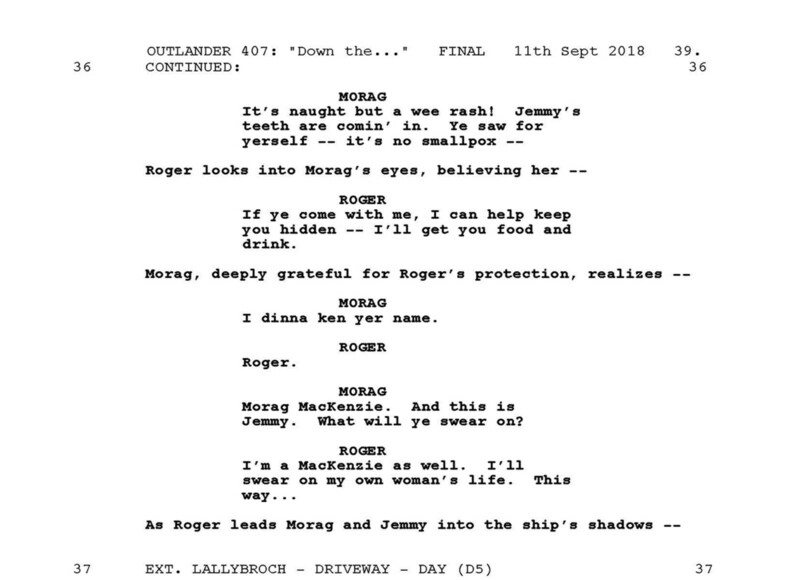 Even though we didn’t have Jenny and couldn’t play out much of the Lallybroch story from the book, we couldn’t have Brianna travel through Scotland and not visit the home where Jamie grew up, so we took her to Lallybroch so she could meet Uncle Ian and he could help her get to the ship. Brianna giving her name as Brianna Randall was a pointed statement to show that Bree is not abandoning Frank. She definitely has Fraser in her but was raised a Randall and is not leaving behind the man who loved and cared for her for 20 years. And now we watch as Brianna sees a ghost of Frank on the dock—our way of showing that Frank will likewise never abandon his daughter. 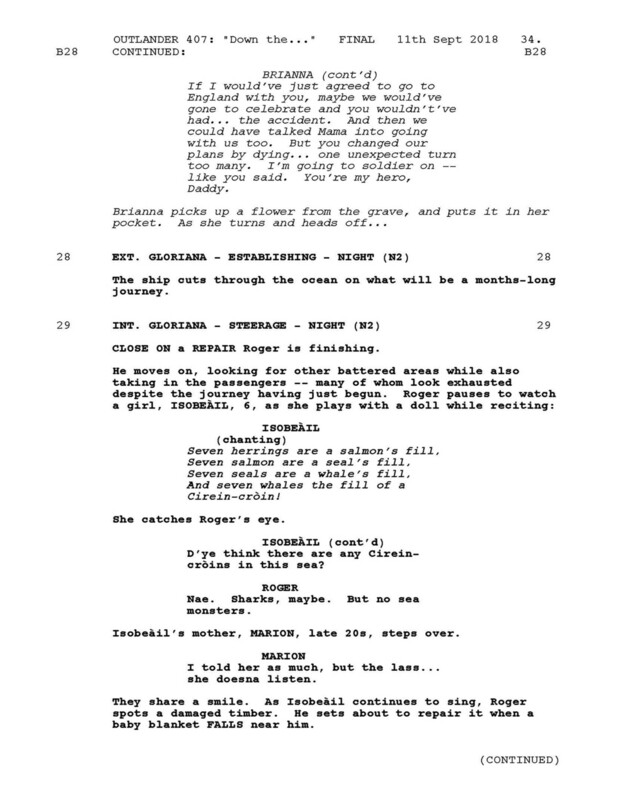 It’s difficult to play long monologues in a TV episode. We only have an hour to squeeze in much good material. 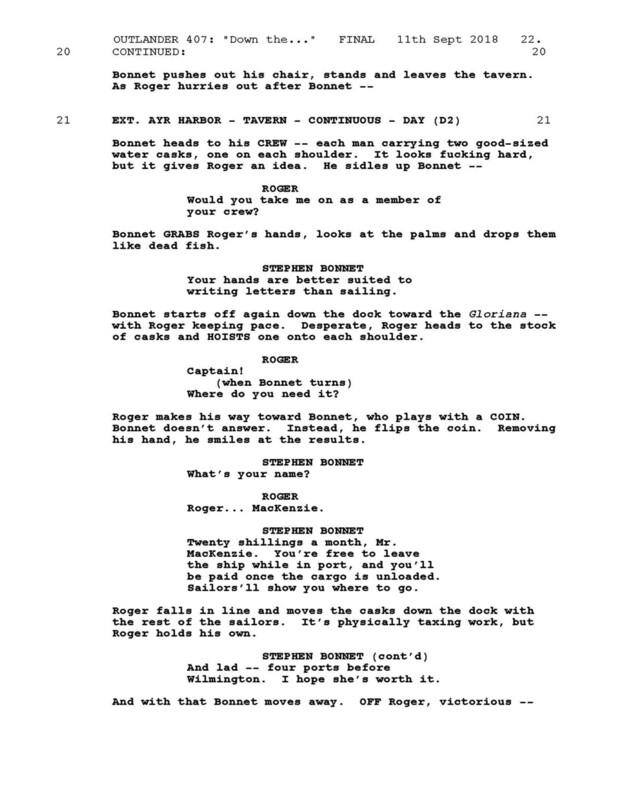 However, we felt it was important to know this part of Stephen Bonnet’s backstory, so we would know that his coin-flipping routine was not merely a gimmick that he takes lightly, but something deeply rooted in his psyche from pain and fear he suffered as a young man, making him a truly dangerous villain. 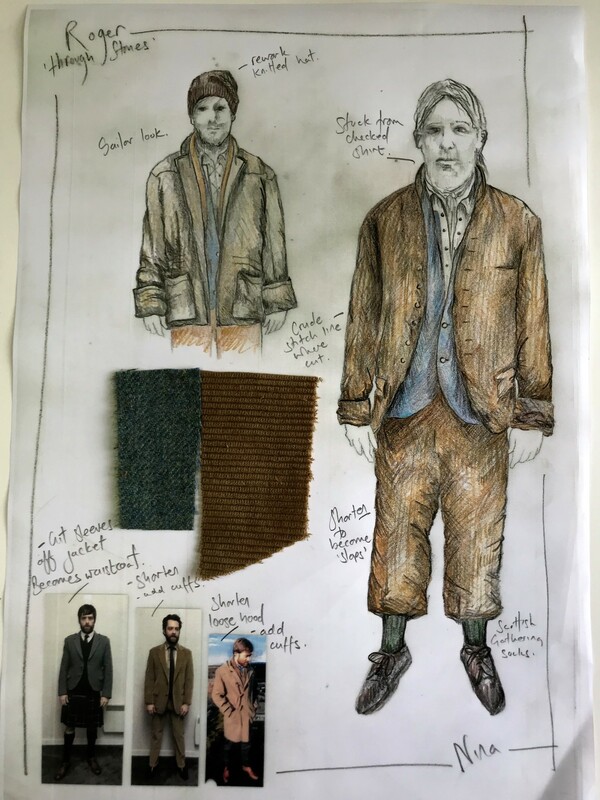 Said Co-Costume Designer Nina Ayers on Roger’s time travel outfit: “Roger’s eighteenth century looks consist of his late 1960’s/70’s wardrobe which 'he has done his best' to transform into something which resembles what he believes could pass as eighteenth century. The look was made to fit in with sailors and a general population as opposed to high society. 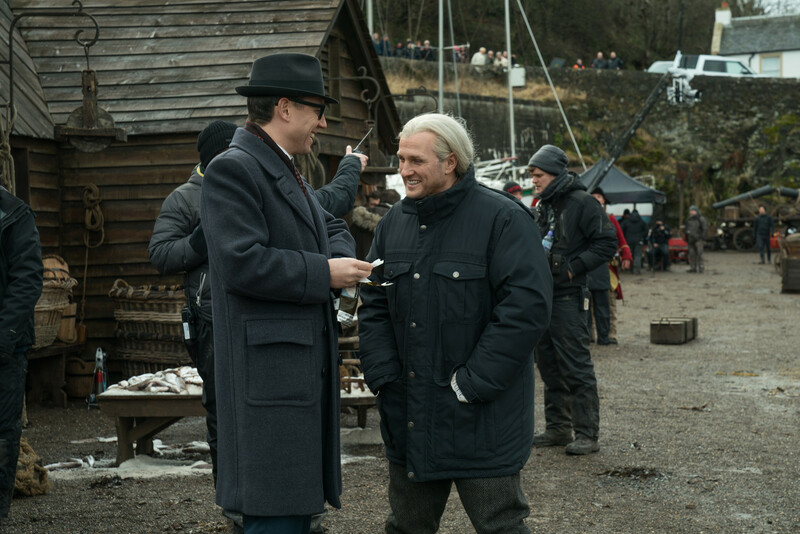 His old check shirt becomes the stock, the bobble is taken off his woolen hat, he finds a ghillie shirt and takes the sleeves off his Scottish jacket worn to the festival to turn it into a waistcoat. 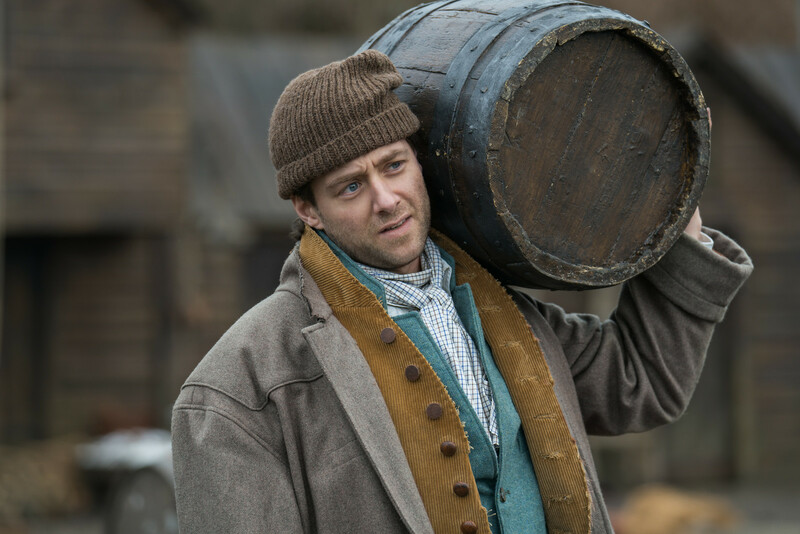 His cord suit is variously adjusted and finally his duffel coat undergoes some crude remodeling. We kept seams raw cut and top stitched to indicate the maker doesn’t have vast sewing skills. 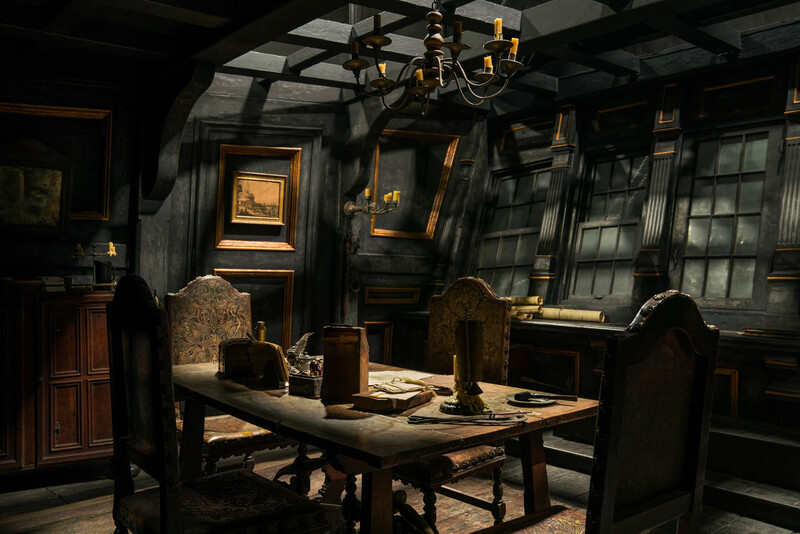 The interior of Stephen Bonnet’s ship, the Gloriana, is the same boat that was the hero ship of Season 3, the Artemis. 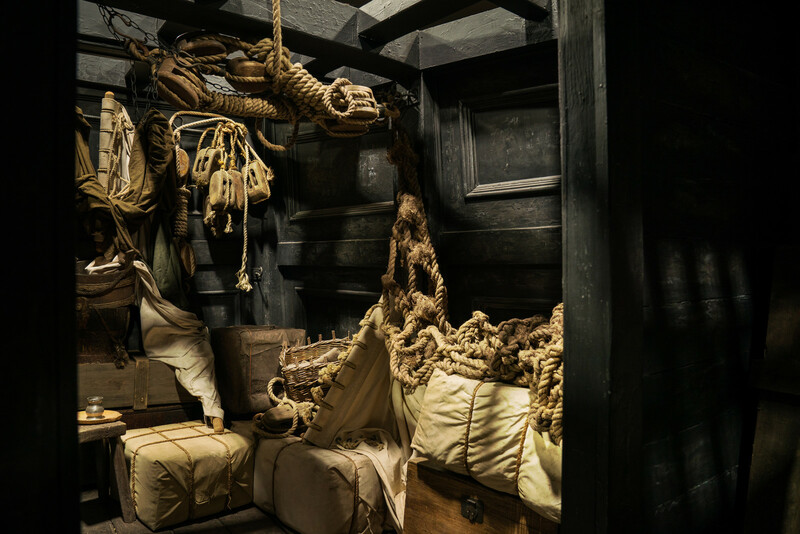 The set was sent back from the Cape Town film studios to Scotland on a ship.